Despite the norm that the kitchen is only meant for cooking and washing dirty dishes, most homeowners keep on upgrading their kitchens with the latest kitchen trends as they believe that the kitchen is more than just a place of cooking and washing dirty dishes. It is the one place where family members and friends gather to prepare meals and maybe to socialize. It is also among the rooms that can be showcased to guests. Therefore, it is essential to ensure that your kitchen is presentable and appealing to your guests, to avoid negative talks among your guests. There are numerous ways to upgrade your kitchen, but one that takes the trophy is installing the kitchen cabinets. Kitchen cabinets are essential for any kitchen because they provide storage space for different kitchen appliances, utensils, and other kitchen tools that cannot be left lying around. Kitchen cabinets are also one of the things that one identifies once they walk into your kitchen. Therefore they ought to be presentable as the first impression is very important. Installing kitchen cabinets can be a bit expensive regardless whether you are renovating your kitchen or starting from scratch. Therefore it is essential to have a complete idea of what you are looking for to avoid unnecessary extra expenses. Here are some of the steps or rather things you can do to ensure that you acquire affordable cabinets for your kitchen. The first step is to make a budget. Here it is essential to identify how much you are willing to spend for your kitchen cabinets. There are very many different types of kitchen cabinets, each with their prices and characteristics. 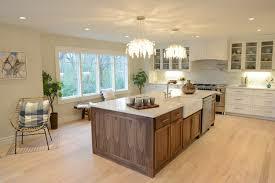 For instance, there are three types of kitchen cabinets. That is stock, semi-custom, and custom. Stock cabinets are the cheapest, while custom is the most expensive. Therefore, make sure that you do not drain your pocket when purchasing the cabinets. Now with your budget and style intact. It is now time to go shopping for your preferred cabinet design. Once you go shopping ensure that you purchase your cabinet directly from the wholesalers. This is because wholesalers offer massive discounts on their products. Therefore it is possible to acquire a better cabinet regardless of your budget. Also, wholesalers have a wide variety of kitchen cabinets to choose from. Kitchen cabinets are not always that expensive; however, installing them in our homes is as it requires on to pay for labor. To cut on such costs, you can get the tools and get your hand a bit dirty. If you don’t have any clue on installation check online videos and articles.